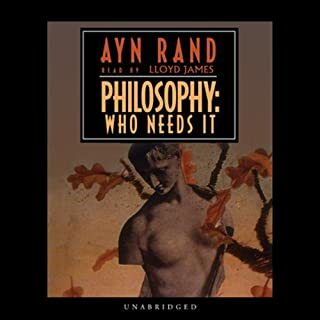 This is Ayn Rand's challenge to the prevalent philosophical doctrines of our time and the "atmosphere of guilt, of panic, of despair, of boredom, and of all-pervasive evasion" that they create. 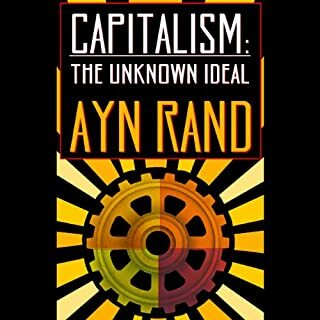 One of the most controversial figures on the intellectual scene, Ayn Rand was the proponent of a moral philosophy, an ethic of rational self-interest, that stands in sharp opposition to the ethics of altruism and self-sacrifice. The fundamentals of this morality, "a philosophy for living on earth", are here vibrantly set forth by the spokesman for a new class, For The New Intellectual. 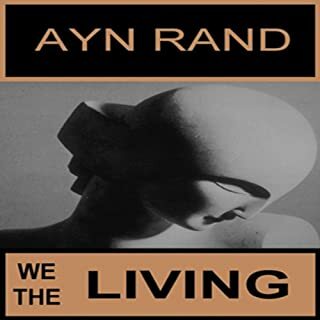 Miss Rand's unique philosophy, Objectivism, has gained a worldwide audience. 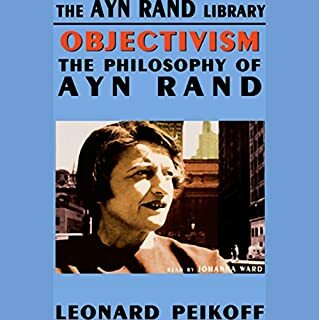 The fundamentals of her philosophy are set forth in four nonfiction books: Introduction to Objectivist Epistemology, For the New Intellectual, The Virtue of Selfishness, and Capitalism: The Unknown Ideal. Ayn Rand was a genius. This is one of my very favorite works of all. and she comes up with a lot of still-useful (and still-applicable) phrases (she was a good writer first, then a thinker). Just to note, her primary aim with her philosophy was to prevent another Soviet Union (which she suffered first-hand under). New material. This book starts with an original essay and introduction- however the remainder of the book is large passages from her earlier works and novels. If you are familiar with these already and are looking for something new on objectivism this isn't it. Good choice for rand's voice. Good narrator and solid intro.. if you're unfamiliar with her works, i feel like this might contain too many spoilers, if you are familiar with her work there is nothing new here. In either case, pass on this audiobook. If you want to read the new content, buy a used copy or sit in a library for an hour. I guess it could be good for highlighting if you dont want to taint your physical copies of the original works. If you have read her novels, skip this book. If you have not read her novels, definitely skip this book. Either it will be a repetition of what you have already read/listened to, or it will be a spoiler of her excellent fiction. Her other non-fiction books are much more substantial. Rehashed narrative and bad ideas. If you are looking to waste your time and money (or book credit) this is your book. I will admit that my perspective may be slightly biased since I am not a Rand fan, but it seems to me that this was a boaring, ill-thought out book. 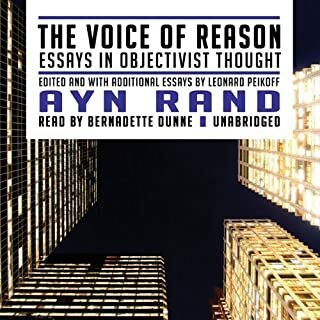 Rand tries to explain her philosophy of Objectivism (which, I might add, is not considered worth while by any serious philosophers) but does so primarily through the excessively long harangues found in her fiction. 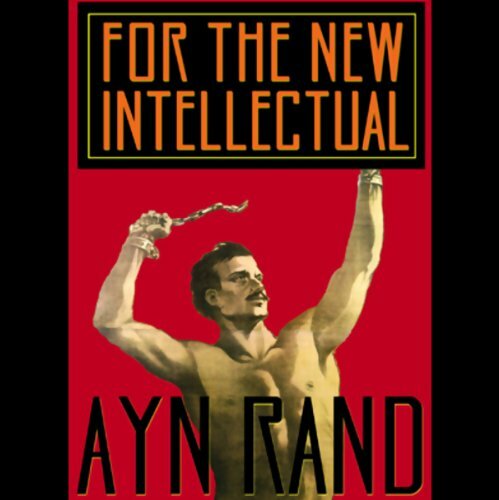 This leaves the listener feeling that Rand did not want to take the time to put her ideas in a different format, instead leaving "The New Intellectual" simply re-published thoughts that are unrevised. Aside from the merits of her thoughts (which aren't very interesting or deep: Just think you are your self because- you are yourself and that is enough to justify anything) the presentation should be enough to turn people away from this production. 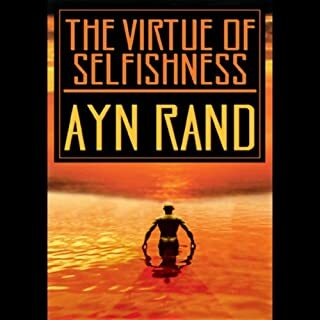 If you want her fiction, listen to "Atlas Shrugged," if you want her philosophy, go listen to "Objectivism," or "The Virtue of Selfishness." If you want to save yourself time and money -- skip her philosophy and just enjoy her fiction for what little its worth.